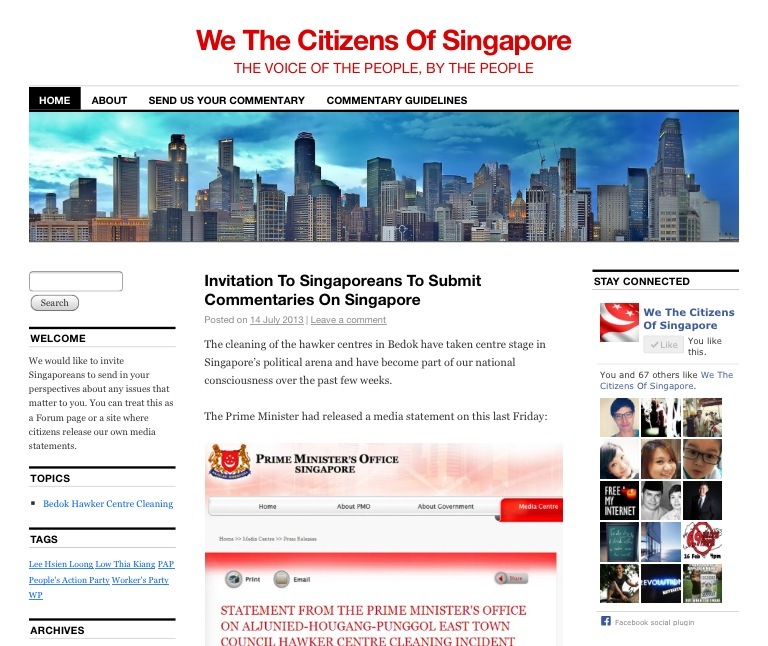 There is a new website in Singapore called “We The Citizens Of Singapore“. You can go to the website here. You can send an email to them at wtcosg@gmail.com. To find out more about how you can send in your commentary, you can go here. You can read more about the guidelines here. The website also has a Twitter account which you can follow here. I have submitted a commentary to We The Citizens Of Singapore. This website has been a long time coming in Singapore. 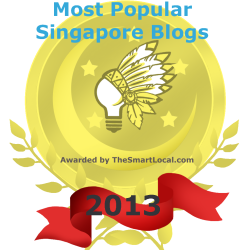 Over the past 2 years, many blogs, websites and social media profiles on Facebook and Twitter have appeared as each one aim to offer a better understanding of Singapore to Singaporeans, including this blog. All of us hope to understand what is happening in Singapore better and analyse it, so that we can offer different solutions for Singapore. However, the discussions have become more and more divergent, as commenters on both sides of the debate have learnt to gradually become more protective over their own viewpoints and have at times, shut off other viewpoints which differ from theirs. It is unfortunate that we aren’t able to hear one another, because I have realised that if we do, both sides have the same wants and interests. We might believe in different ways of achieving them or getting to our end goals but we have the same objective – we want a better place to live for ourselves. As such, I believe that it is very timely that We The Citizens Of Singapore has been created. This is an opportunity for Singaporeans to come together to a common platform where we would be able to hear one another out. If we are able to set aside our differences and to allow ourselves to understand one another’s perspectives, we would be able to come out with solutions that would benefit not just either perspectives but a lot more Singaporeans. I truly hope that this website will be a success so that we can finally bridge the differences in opinions among Singaporeans and be able to find a common way forward for Singapore. Singapore is at a major turning point in our country’s history. Whether we are able to advance as a society will largely depend on how we shape the conversation together, as a people. If you believe that there is a need for Singaporeans to start listening to one another and where there is a platform where Singaporeans would be able to share their different perspectives regardless of their individual beliefs, then do send in your thoughts and opinions. If we are able to kick-start the discussions and to generate balanced and constructive debates, this will go a long way towards finally devising solutions that are developed by Singaporeans, for Singaporeans, which we can then advocate through the people’s voices, to get things done and set things right for ourselves. 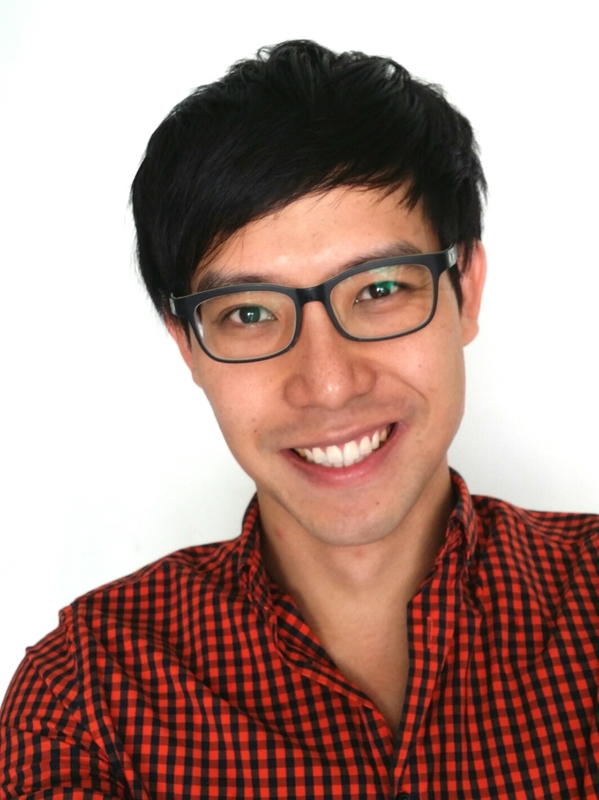 I have sent in a commentary and I look forward to reading commentaries from other Singaporeans! This website looks like another fabrications or singapolitics site aimed at monitoring citizens. There shouldn’t be a need to email commentaries if it is really open and transparent. Diversity is good. Internet is supposed to be diverse. There shouldn’t be any one size fits all site where everyone must go to make a comment. If not, it will be too easy for govt to shut it down. I hope you double check who is the site owner first before making recommendation. Could be set up by a Johnathan Oh or Ng Kok Khim. Who knows?